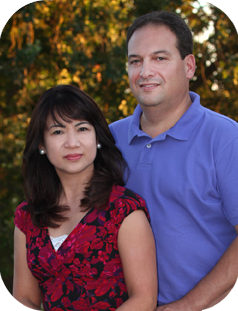 Rangi Paula V. Giner and John F. Cimino Jr. would like to welcome you to visit their new Care Center for the Elderly, The Meadows at Country Place, located in the Greenhaven area of Sacramento. Mr. Cimino has deep roots in assisted living services. He helped his parents build their first 6 bed facility for the family business in 1988, and has constructed many other assisted living homes since then. He has provided a solid foundation for the building of Ms. Giner’s dream as they created their shared vision of a family elder care center that is guided by compassion and a genuine concern for others. Ms. Giner has always been about heart and compassion, caring for and helping people. Her parents modeled that behavior and attitude throughout her childhood, and into adulthood. Her physician father ran a small clinic which was attached to their home in Cabugao, Ilocos Sur, in the Phillipines, where she grew up. By the time she was in high school, she and her siblings started assisting both their father and mother (a dentist herself), in the care of patients. Core values such as the absolute necessity of cleanliness, an instilled spirit of generosity, an abiding respect for elders and honest integrity were ingrained in her very fiber. Those intrinsic ideals have laid the foundation for Ms. Giner’s very clear path in life. She has amassed extensive training, as well as experience, through the years. Having acquired a Bachelor of Science in Nursing, she spent nineteen years working as an emergency room nurse in the Philippines and Saudi Arabia. After that, she spent 10 years working with elderly and mentally challenged individuals, in nursing homes and long term care communities. Ms. Giner has now realized her dream of creating a Care Center that invokes her parent’s values. She is excited to offer her compassionate services right here in her neighborhood, the Land Park/Greenhaven area. Felipa V. Mugas was born on May 1st, 1917 in Santa Maria, Ilocos Sur, Philippines. 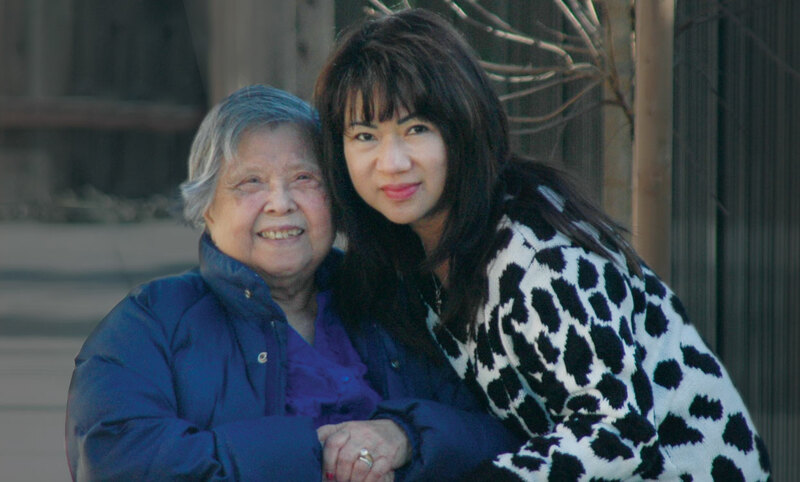 She was a nurse who worked in San Francisco for many years at St. Francis Memorial Hospital, but within she was an entrepreneur and business woman. Working hard and saving she was able to help her family in many ways over many years. 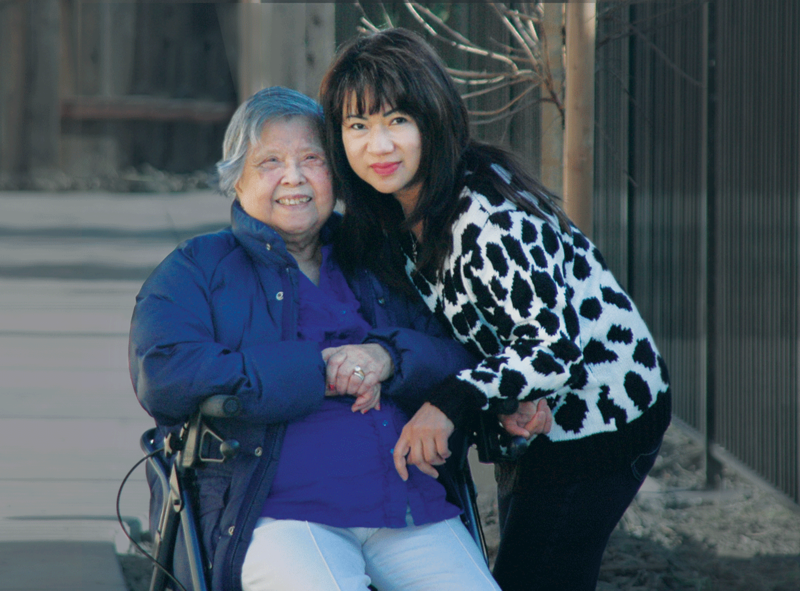 In 2008 she encouraged her niece, Rangi Paula V. Giver, to build The Meadows at Country Place. Felipa visited the site where The Meadows at Country Place now stands and lent Rangi startup funds for the initial application to the City of Sacramento for a Conditional Use Permit. Felipa felt good about The Meadows at Country Place. She visited many times and was very pleased and proud to see the birth of this new Care Center. She lived a full, active life and passed away on June 15th, 2012. Felipa cared for the elderly at St. Francis Memorial Hospital over the years and her legacy lives on today. Through the construction of The Meadows at Country Place and through her loving niece, Felipa is still caring for us and those we love.